…an adjective used to denote a superior or more advanced version of an original concept, product, service, etc. We live in an age where software updates and newer software versions are coming out all the times. We are constantly shifting, re-evaluating and redesigning. When software is updated or undergoes significant changes you developers update the version numbers with each significant software update, for example, version 1.0 will become 2.0 will become 3.0, and so on and so on. On Sunday, a colleague of mine emailed me with a simple subject line, Air Canada. The body of that email just said, “Has an Asia seat sale on right now“. I responded to that email, “Thanks for this! I actually booked a flight back to see Shyla yesterday!!!!! I’ll be going to Tokyo from May 27 to June 13“. 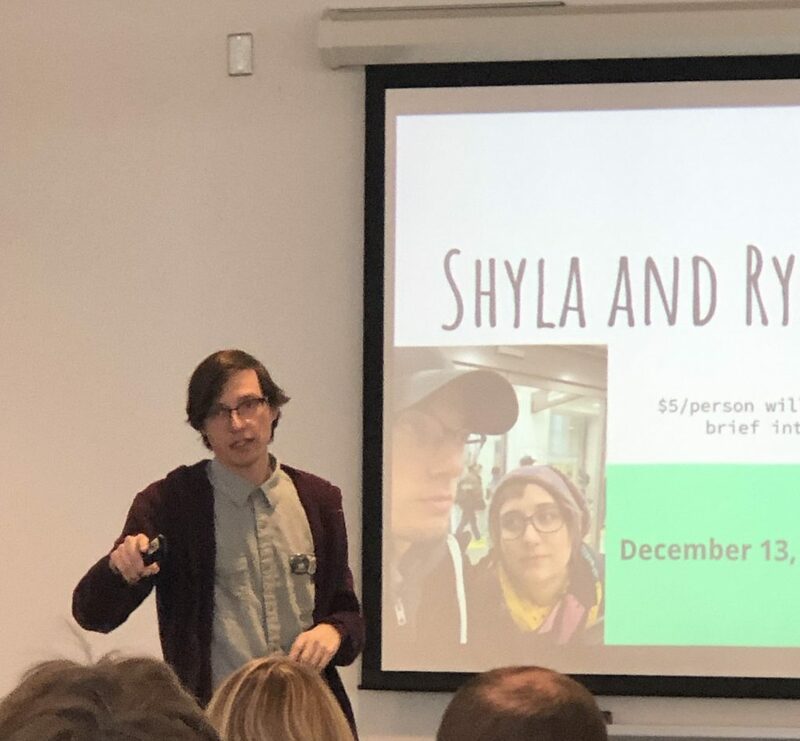 So with that said, I’m going back to Japan and I’m calling this trip Shyla and Ryan Japan Adventure 2.0. 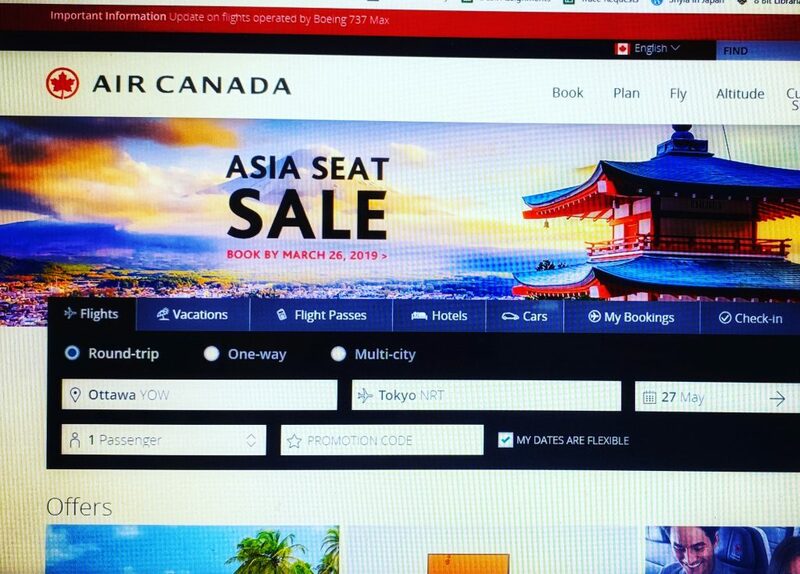 Air Canada is running an Asia Seat Sale if you book by March 26th. But didn’t you just visit Japan? Well…yes. But visiting Japan was more than just a vacation/holiday. I rediscovered my passion for writing, sharing, photography, and storytelling. 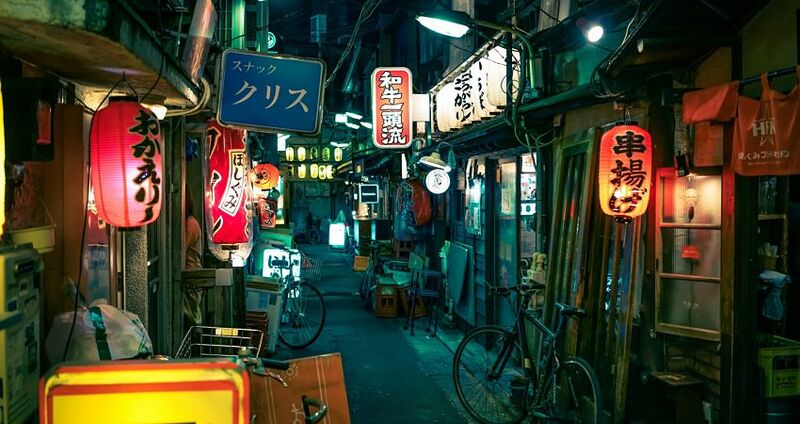 Japan as a country and as a culture is so different than any I have visited in North America. I have a curious mind, I like learning, and I like researching. Japan reinvigorated that in me. Writing shouldn’t be a chore, it should be something you love to do. I rediscovered my love in Japan. Presenting to colleagues at Carleton University Library. Thanks to my work colleague for snapping this photo! The price was right and I have someone there who knows the language and has a place to stay in Tokyo. So it makes perfect sense to go back. I’m at a point in my life that allows me to travel. I’m healthy, I’m relatively young (although I love Werthers Originals) and I have lots of vacation time. We don’t know what will happen tomorrow, so we have to do what feels right today. Unlike my trip in December, this time I will be flying from Ottawa (YOW) to Vancouver (YVR) a 5 hour and 12-minute flight with a 4-hour layover before the 9 hour and 50-minute flight to Tokyo (Narita). This should make the flight a little bit more manageable on the way there. The flight home, however, is through Montreal (YUL), another 12-hour flight. This trip is going to be primarily one for staying in Tokyo. There was so much to see in this city and the surrounding prefectures. Outside of Tokyo however, we are looking at going up north for a few days to visit the island of Hokkaido and a city you beer drinkers may know called Sapporo. Although this trip is a “continuation” of the Tokyo segment of the last trip. I am also bringing with me two empty suitcases (I like to think of them as Matryoshka dolls) that Shyla can use to gather up all her belongings. Why buy more bags if you are only going to use them once? 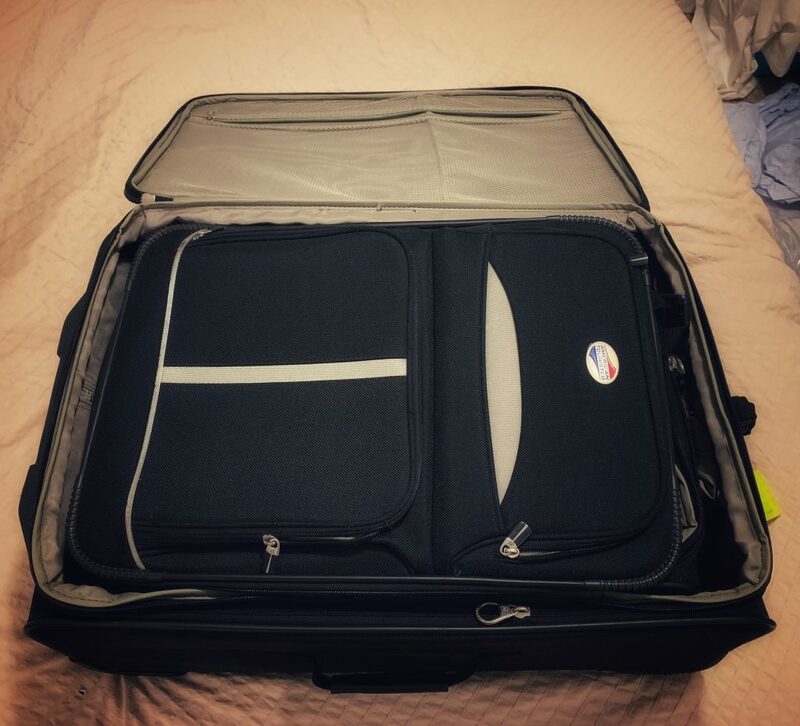 Bringing two pieces of luggage that stack nicely inside one another. Like a Matryoshka doll! The plan is for Shyla to come back on my flight to Canada with me. However, the cost of a one-way ticket is ludicrous, so I guess we will see. Perhaps the high price of a ticket is because airlines know that you are stuck there when you are purchasing a one-way ticket. Anyways, if I can help Shyla get ready to come home, I’ll do whatever I can do. I will continue to blog about my experiences in Japan on this next visit to Japan and I once again invite you to follow along. I’ll continue to post photos of the exciting cool places we visit.